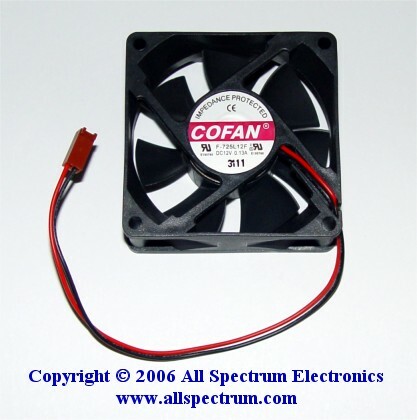 12v DC FAN, 70mm, 25mm thick. Exact replacement fan for some Tivo units. Made by Cofan.